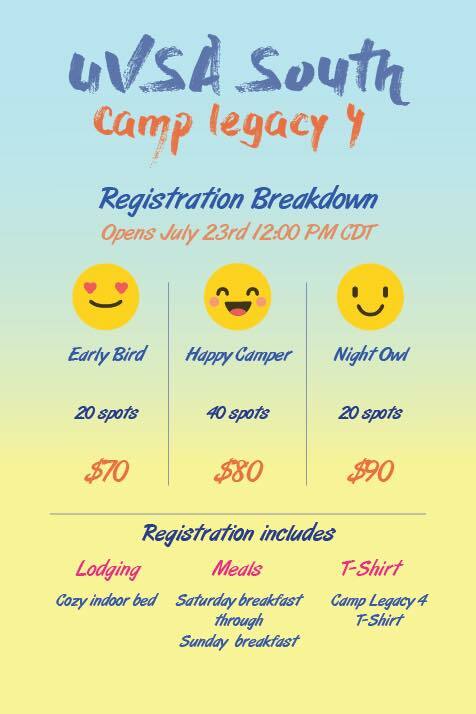 Camp Legacy 4 normal registration is now OPEN! We want to give a BIG SHOUTOUT to everyone who has registered so far, we closed out early registration in a record 7 MINUTES. Click on the banner above for normal registration. 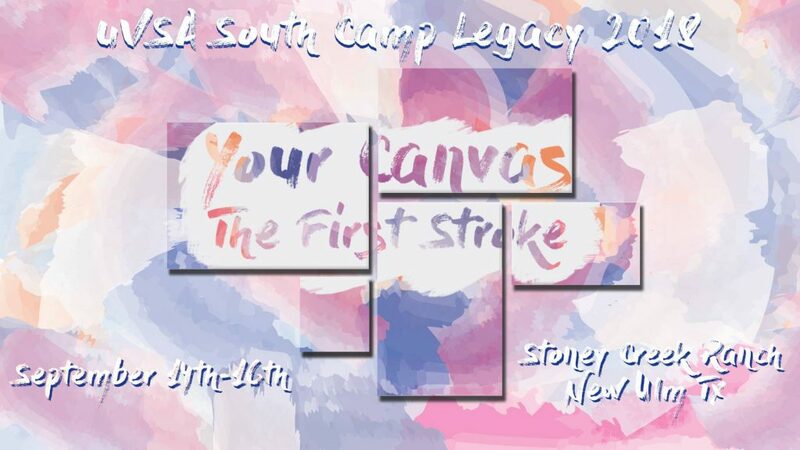 Be sure to register soon, as spots are limited and will close after 40 registrants. Some tips to get signed up quicker: You can only register once per email address, so make it count. And have a headshot ready to go so you look picture perfect on your badge day of! Finally, after you pay on Paypal, be sure the Paypal redirects you to the form to complete the fourth and final stage of registration. If you didn’t see a confirmation page, your registration won’t go through. 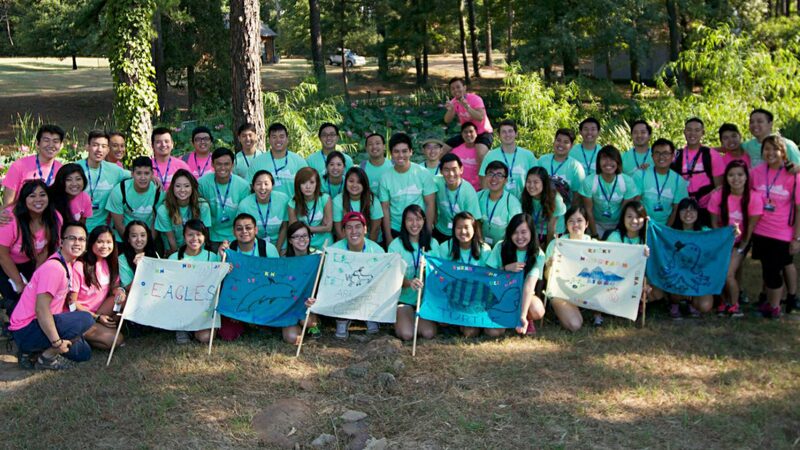 Finally, contact our wonderful registration team at registration@uvsasouth.org for any issues you may have. Screenshots are greatly appreciated! ⟵Apply for the Visionary Scholarship for UNAVSA-15!